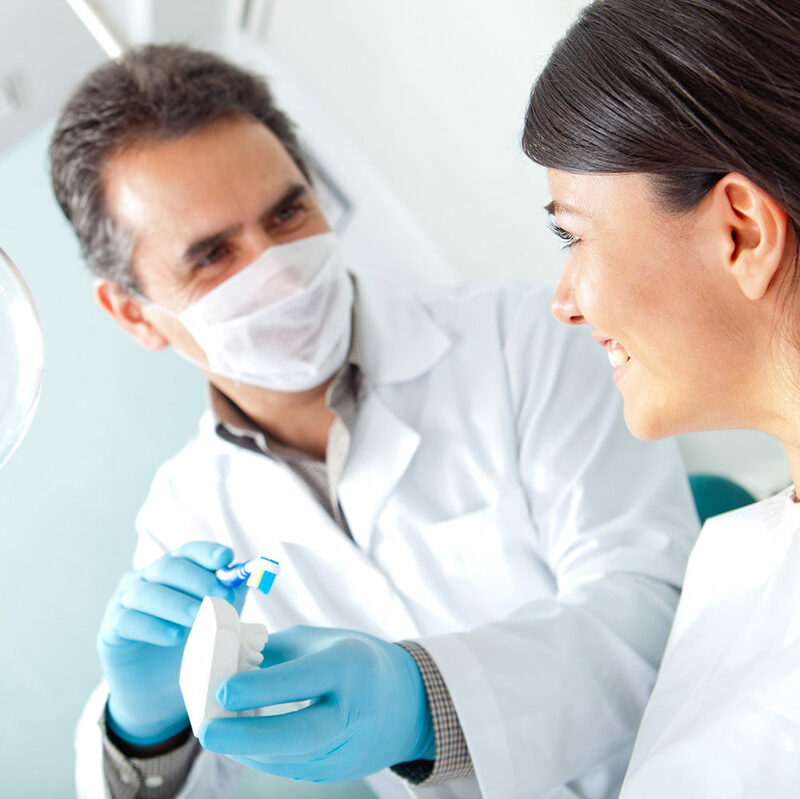 General dentists diagnose and treat a variety of oral health conditions. They perform procedures from X-Rays and exams to gum care, fillings, and cosmetic treatments like veneers as well as manage overall oral healthcare. The general dentist is also responsible for providing preventative education to patients. 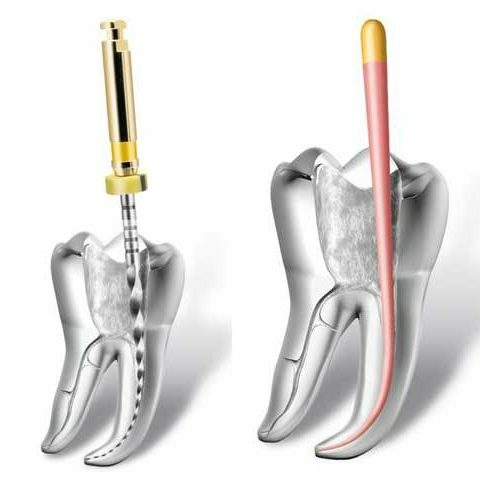 Crowns & bridges are fixed prosthetic devices that are cemented onto implants or existing teeth. Our office offers porcelain and ceramic crowns to match the color of your teeth. We also offer fixed bridges, which are cemented to natural teeth or abutments, to close the space between missing teeth. Dentures and partial dentures are removable replacements for missing teeth. Complete dentures are used when all the teeth are missing while partial dentures are used when some natural teeth remain. We offer natural looking, esthetic dentures. A night guard is an oral appliance typically worn at night and may be prescribed for grinding and clenching (bruxism) or TMJ (Temporomandibular disorder). We custom make our night guards to ensure proper fit and function. Wearing night guards can lesson the symptoms of TMJ and prevent chipping and cracking of teeth. Root canal treatment is a procedure that relieves dental pain caused by inflammation or infection in the roots of a tooth. Depending on the severity and complexity of the case, root canal treatment may be performed by a general dentist or an endodontist (specialist). Fillings restore teeth that have been damaged by dental decay. They also help to prevent further decay by sealing off spaces where bacteria can enter. We offer resin composite (white) fillings to match the color of your teeth and provide a natural appearance. Dental veneers (porcelain veneers or dental porcelain laminates) are thin, custom-made shells that are bonded to cover a tooth's surface to improve the aesthetics of a smile or protect the tooth's surface from damage. Whether for cosmetic purposes or to restore teeth that are chipped, broken, or worn down, our office has you covered. Dental hygiene is a significant part of our lives both at home and during regular visits to the dentist. Hygiene includes keeping the mouth, teeth, and gums clean. Poor dental hygiene may result in buildup of dental plaque, tooth decay, and periodontal disease. Our office has several Registered Dental Hygienists that perform a variety of cleanings and treatments for patients in varying types of dental health conditions. Your general dentist will work closely with a hygienist (and dental specialist, if needed) to determine the type of cleaning best-suited to ensure your oral health is well taken care of. P.S. Don't forget to floss! 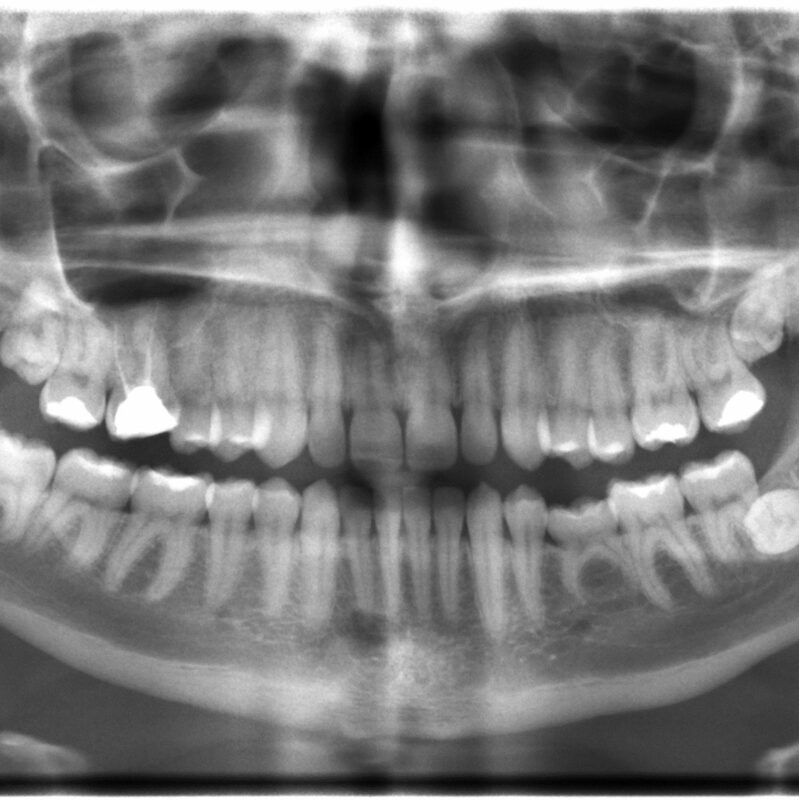 X-Rays are an essential part of dental diagnostics and creating a comprehensive treatment plan. Digital X-Rays or radiology produce significantly less radiation than conventional X-Ray systems. We offer the latest dental X-Ray technology using sensors and plates. Our digital X-Rays can be easily viewed and enhanced at the dental chair to ensure excellent quality for a comprehensive diagnosis and treatment plan. We uniquely utilize a central X-Ray system to ensure your visit to our office is as efficient as possible. Our children's dentistry (pediatric) department accepts new patients ages one (1) and above including: infants, children, teens, and special needs. Our services include cleanings, exams, X-Rays, fluoride treatment, sealants, white fillings, crowns, spacers, and orthodontics. 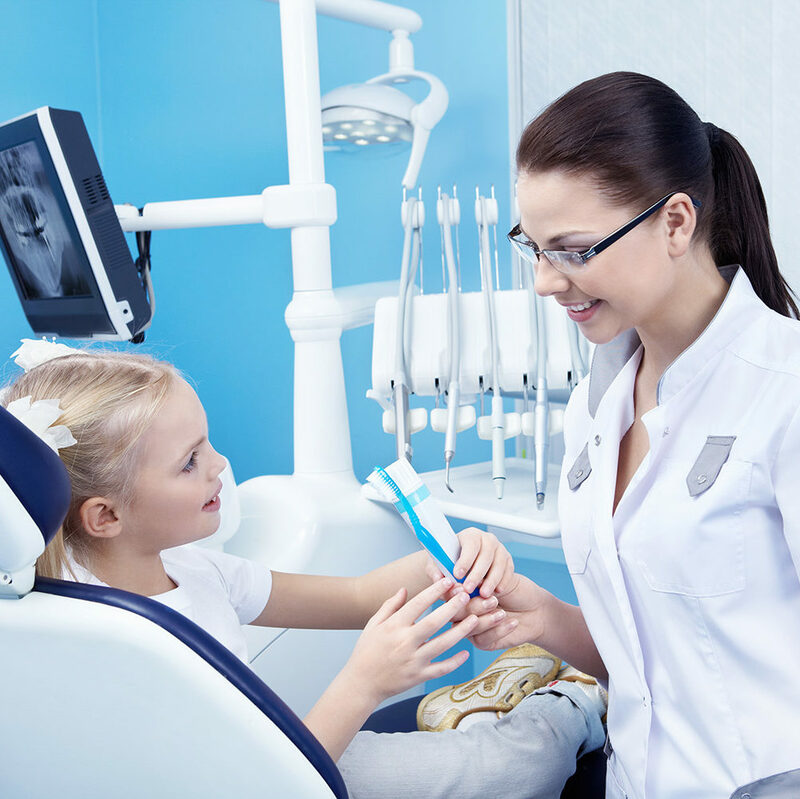 In order to ensure your child's visit is as comfortable and safe as possible, we offer nitrous oxide (laughing gas) treatment and coordinate oral sedation when necessary. We participate with most insurances (click here for more details). Orthodontics is a specialty of dentistry that deals with the diagnosis, prevention, and correction of teeth positioning and jaw alignment. We offer a variety of treatments (phase one (1) and phase two (2) catering to the needs of both children and adults. Early orthodontic evaluation provides timely detection of problems and a greater opportunity for more effective treatment. 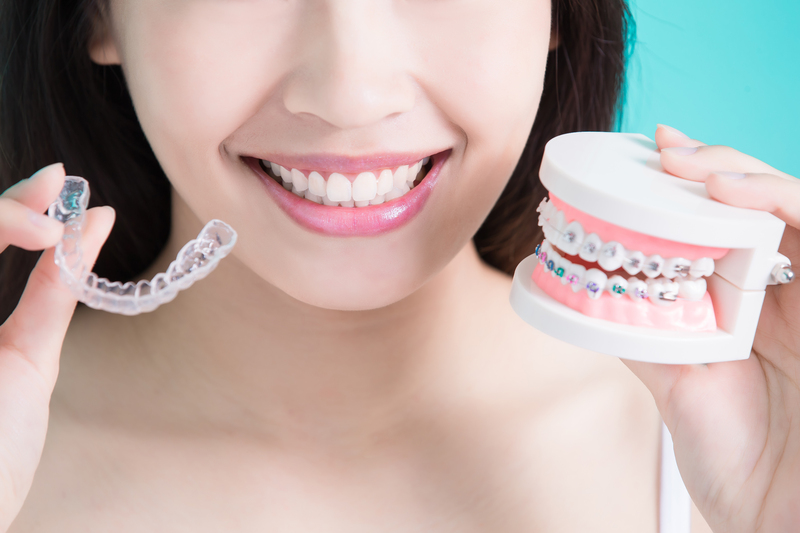 Our treatments include: traditional metal braces, Invisalign, clear aligners and several custom oral appliances such as lingual retainers, bionators, expanders, and splints. A periodontist is a dentist that specializes in the prevention, diagnosis, and treatment of periodontal disease (gum disease). They are experts in the treatment of oral inflammation and perform surgical procedures to restore patients to good health. Patients who present moderate to severe levels of periodontal disease will often be managed by a partnership between the general dentist and the periodontist. The periodontist may often prescribe periodontal maintenance or scalaing and root planing for patients with periodontal disease to restore or maintain optimal oral health. Dental implants are surgically placed into the jawbone in order to provide a foundation for replacement teeth (crowns). Implants are also an alternative to removable bridges and dentures if a patient has healthy gums and adequate bone structure to support the implant. Implants must be cared for regularly in order to ensure they remain functional in the long-term. Osseous surgery is a procedure that eliminates gum pockets to create a long-term, healthier oral environment for patients with progressive periodontal disease. Reducing the depths of gum pockets and eliminating bacteria can prevent the need to extract teeth that are in poor health conditions. Endodontists are dental pulp treatment specialists that focus on procedures that preserve the natural structure of teeth. They diagnose and treat oral pain by performing complex root canal therapy and apicoectomies, which remove the tip of a tooth's root to eliminate infected tissues. 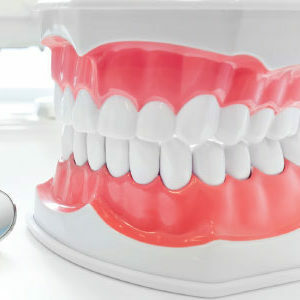 Prosthodontics is an area of dentistry concerned with the design, manufacturing, and fitment of artifical replacements for teeth and other parts of the mouth. We offer several treatments in cosmetics, dental implants, crowns, bridges, dentures (overdentures and implant retained dentures), and temporomandibular disorders (TMJ/TMD). Oral and maxillofacial surgery is a dental specialty that focuses on a broad range of conditions and diseases requiring surgical treatments of the mouth, face, and jaw. Third (3rd) molars or wisdom teeth will often require extraction by an oral surgeon if they are impacted, erupted, or need to be removed to create space for an orthodontic treatment (for example, to reduce crowding). We offer treatments with sedation in a dedicated surgery suite and recovery area in order to ensure that your visit is as comfortable as possible. Loss of adult teeth may occur due to oral disease such as tooth decay and gum disease or because of traumatic injury, poor nutrition, or general health concerns. Oral surgeons will work with a general dentist, medical doctor, and other specialists when it comes to cases that involve tooth loss. This includes planning and performing surgery for dental bridges, partials, dentures, or implants. The specialty of oral surgery involves the diagnosis and study of pathogens, diseases, and conditions affecting the oral and maxillofacial region. This includes multiple areas of the mouth, face, and jaw. Comprehensive study and diagnosis is necessary in order to develop a unique treatment plan for each patient. A ridge augmentation is often done following a treatment such as an extraction to help restore the natural contour of the gums and jaw. The necessity for ridge augmentation may vary depending on future procedures (i.e. dental implants) and aesthetics. Oral surgeons also specialize in the treatment of dentofacial deformities caused by TMJ, trauma to the jaw, malocclusion, clenching, grinding, incorrect jaw position, or birth defects. Orthognathic surgery or jaw surgery can improve chewing, speaking, breathing, and facial symmetry. This type of treatment is a process and may also involve corrective orthodontics. A snius lift may be performed to add bone to the upper jaw. This is often done when there is additional bone height required in order for an implant to be placed. A computed tomography scan or CT scan is often necessary to accurately measure the height and width of existing bone and to evaluate the health of the sinus. Several treatments by the oral surgeon will require bone grafting, which helps to create strong, new bone to increase the effectiveness of various future treatments. For example, a bone graft will increase the strength of the jaw bone to allow for a more effective dental implant to be placed.